Jaunt added three new videos, including a live-action comedy. 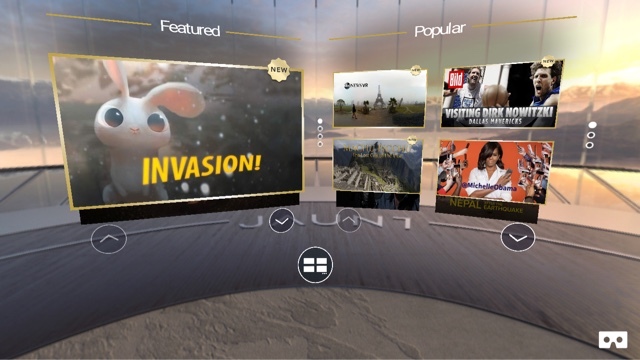 Invasion is a charming animated 3D 360-degree video from the creators of Madagascar. I thought it made great use of VR. It’s also available on Verse. Campfire Tale is a short story that is somewhat in the style of an episode from Twilight Zone, Tales from the Darkside, or Spielberg’s Amazing Stories. It is in 3D 360. The story is ok although I think the use of VR was uninspired. Teleportaled is a short 360-degree live-action scifi/comedy. Although it is not 3D, I thought it made good use of VR. 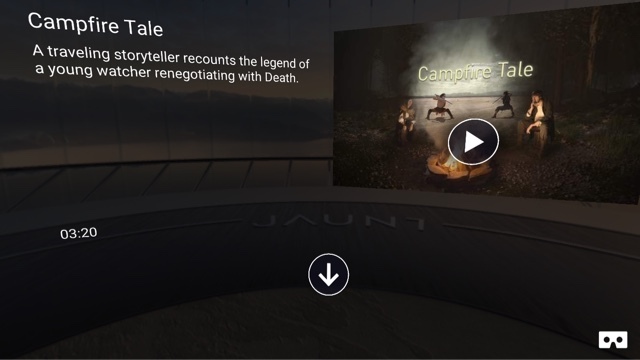 As with other videos in Jaunt, they are free and can be viewed with or without a Google Cardboard viewer.